Since I had my Lemon Lime Twist card stock out for my last card, I used it again for this card. 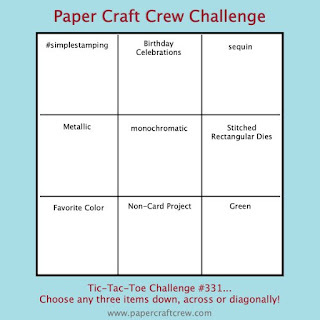 I've also used the Paper Craft Crew#331-Tic-tac-toe, here. 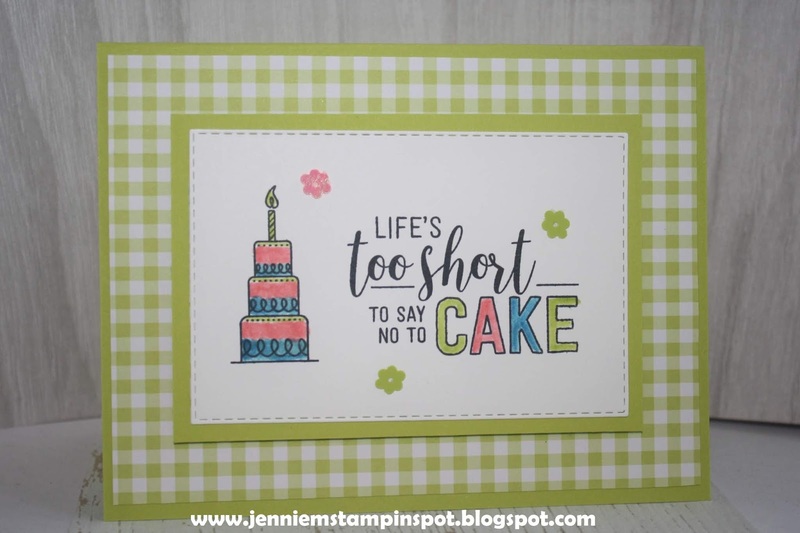 I went down the right hand side line with sequins, Rectangle Stitched Framelits and Green. 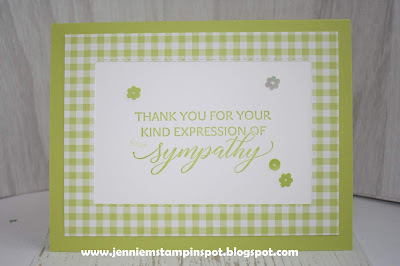 Kindness & Compassion are the stamp sets with some Gingham Gala 6 by 6 DSP and some Gingham Gala Adhesive backed sequins. 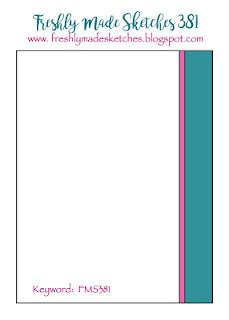 First, the sketch is for the Freshly Made Sketch#381 here. 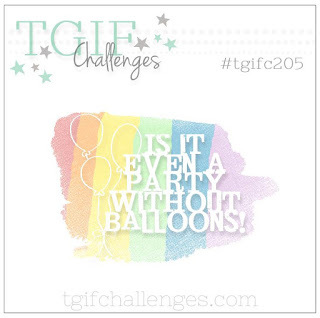 And second, TGIF Challenge#205-Balloons, here. Naturally, I thought of the balloons from the Broadway Birthday stamp set and the coordinating Broadway Bound Specialty DSP and Broadway Lights Framelits. 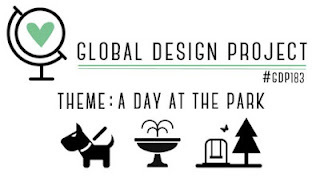 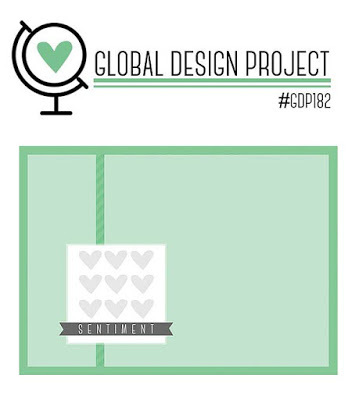 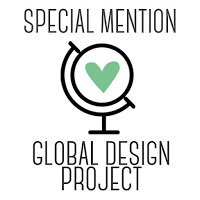 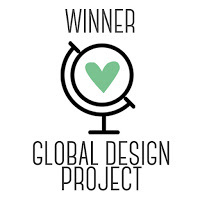 Here's my take on the sketch at the Global Design Project#182 here. 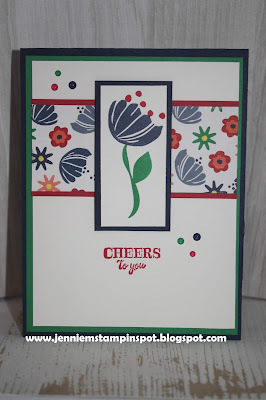 I used some Sale-a-bration goodies that are only available for a few more days: Botanical Butterfly DSP and the Country Floral embossing folder. However, one of them, the Country Floral embossing folder, will be available in the 2019-2020 Catalog, just not for free! I colored the flowers in with Daffodil Delight and Old Olive Stampin' Blends. And a bit of black too. 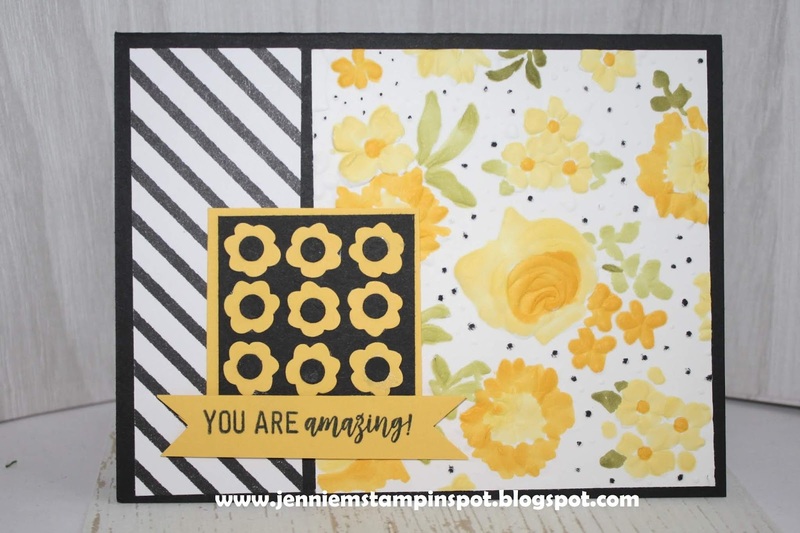 Amazing Life is the stamp set. 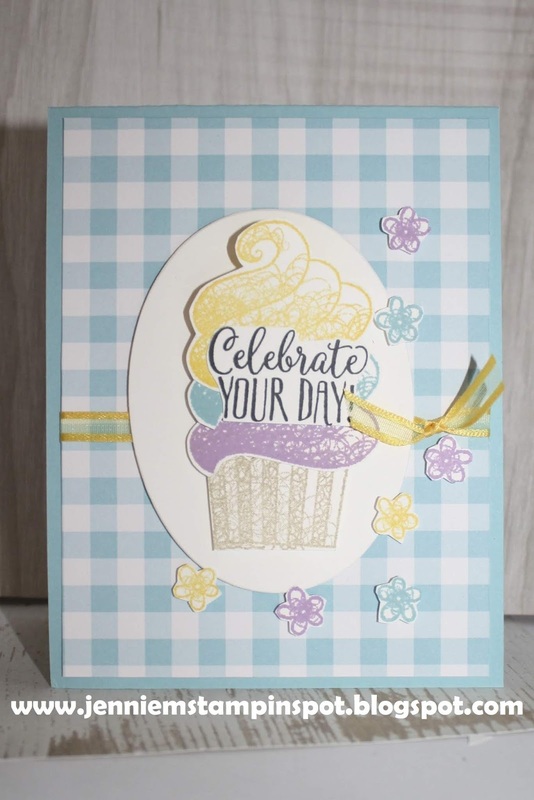 Here's a double-duty card using the Sale-a-bration stamp set, Hello Cupcake. 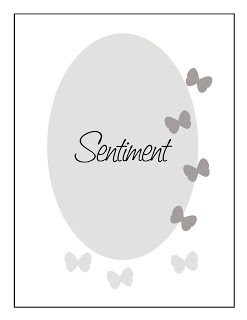 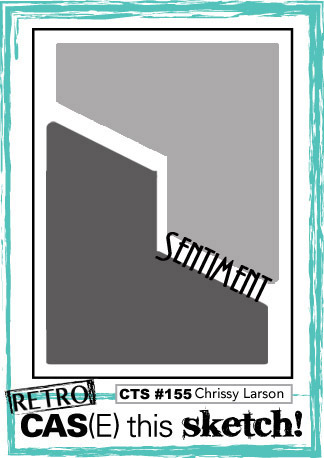 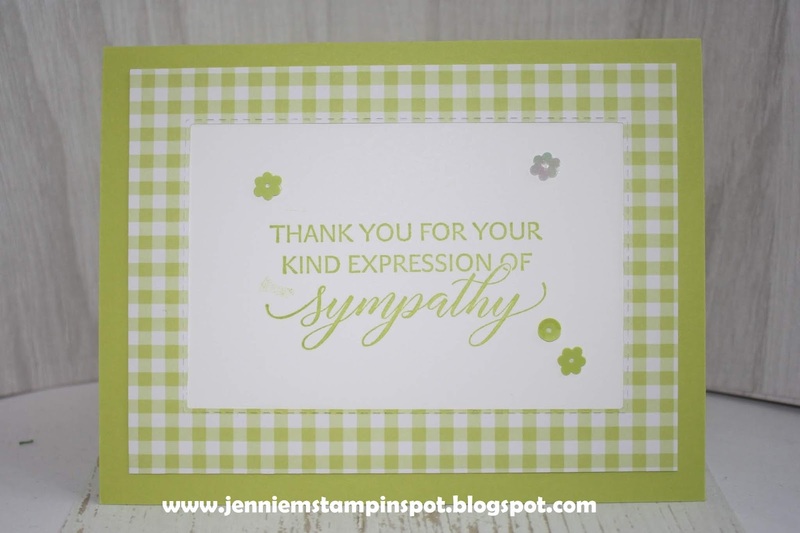 First, the sketch is for the Hand Stamped Sentiments#311 here. 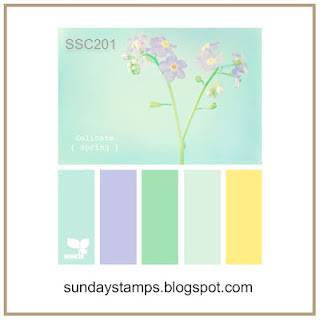 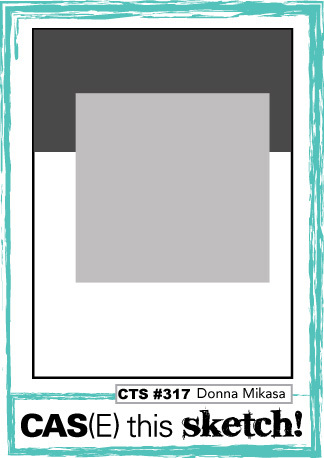 And second, the colors are for the Sunday Stamps#201-Easter Hues, here. I chose to focus on the blue, yellow and purple, using Balmy Blue, Daffodil Delight and Highland Heather. 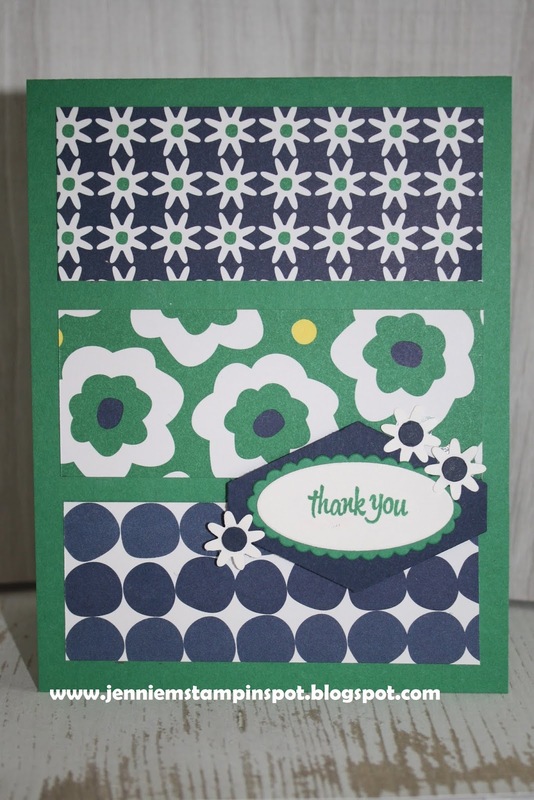 I also used a bit of the Gingham Gala 6 by 6 DSP. 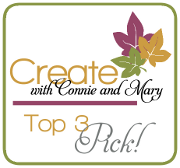 I'm so thrilled to be the Guest Designer for this week's Case this Sketch#315 here! 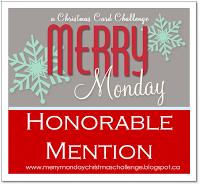 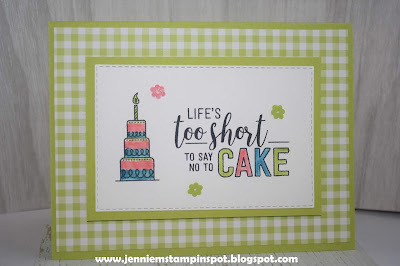 I love to follow the blog and see all the awesome cards and I usually play along as much as possible! 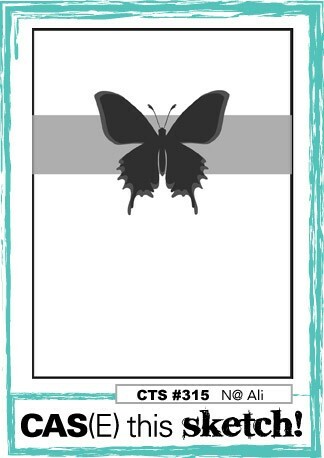 Make sure you check out the DT cards! 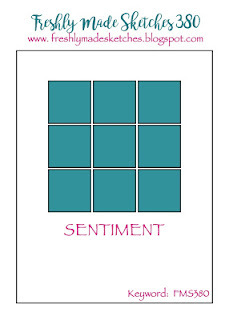 I won the Case this Sketch#298 with these cards here. This week I chose to use goodies from the Happiness Blooms Suite. Bloom by Bloom is the stamp set with the greeting from the Itty Bitty Birthdays stamp set. 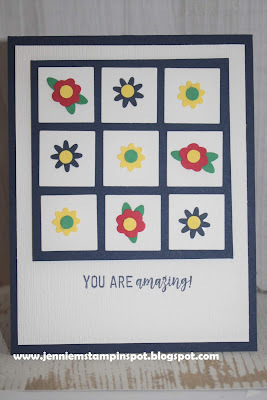 There's some Happiness Blooms DSP and some Happiness Blooms Enamel Dots. Sale-a-bration is wrapping up so I used the Part of My Story stamp set with some Botanical Butterfly DSP for this card. 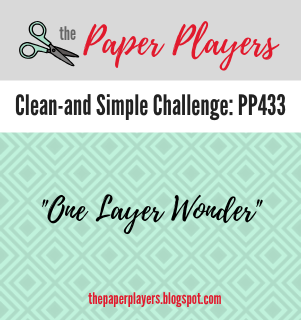 I also used the sketch at The Paper Players#434 here. 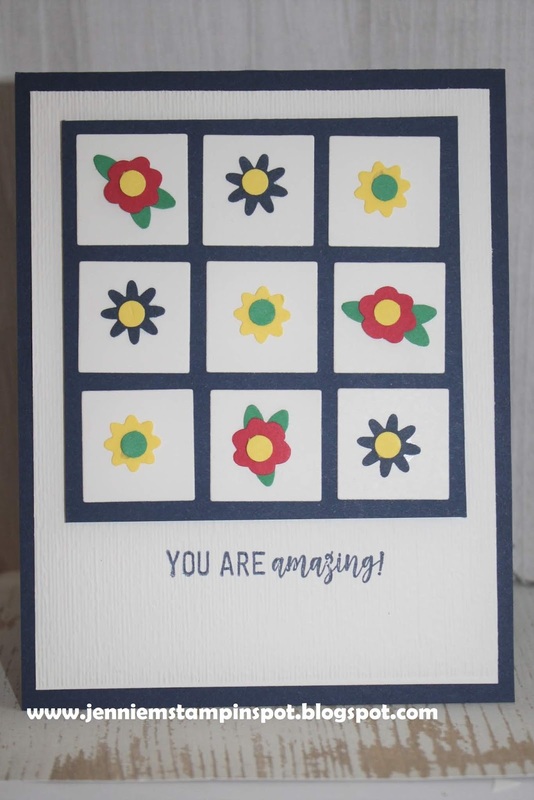 A cute and quick card! 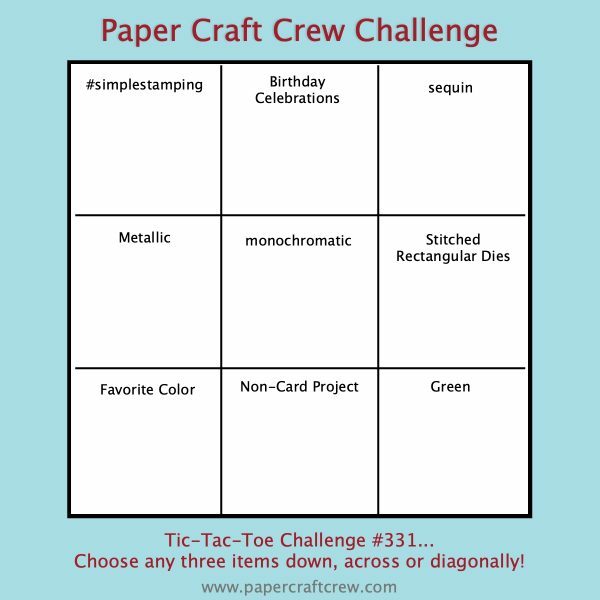 I've made another triple challenge card!!! 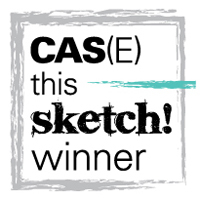 First, it's for the sketch at Case this Sketch#314 here. Second, the colors are for Just Add Ink#449 here. 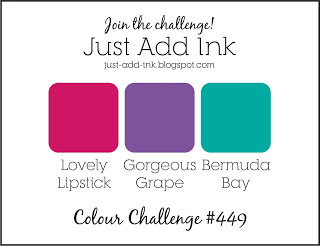 The colors are Lovely Lipstick, Gorgeous Grape and Bermuda Bay. 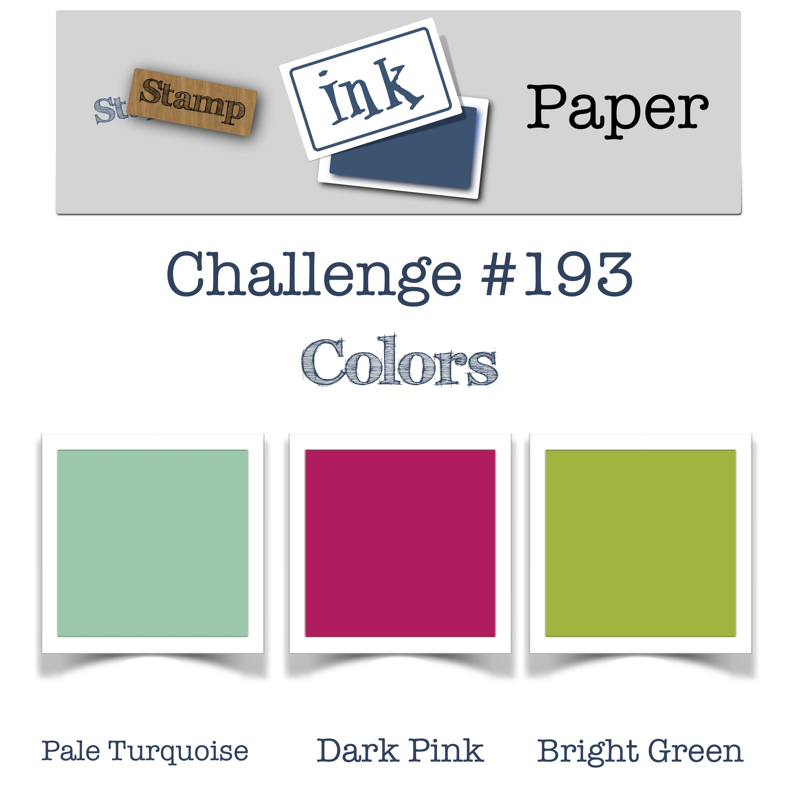 And finally, SUO Challenge#219-Coloring, here. 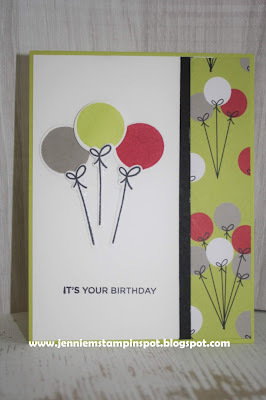 The stamp set is Perennial Birthday. 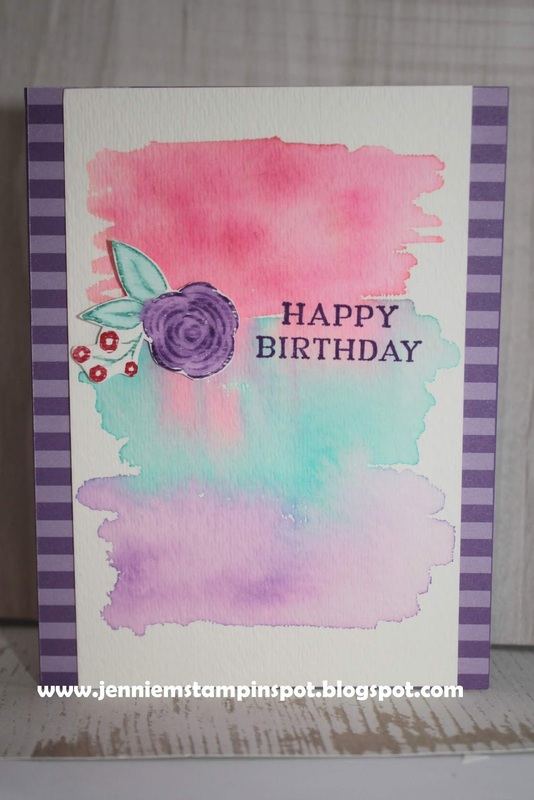 I water colored the background with the inks and an Aqua painter. 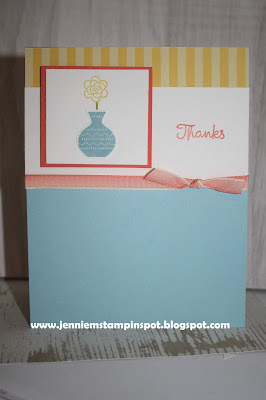 Then I stamped the flowers with markers and colored some more with an Aqua painter. There's a bit of the Brights 6 by 6 DSP. Here's a triple challenge card to start off the week. 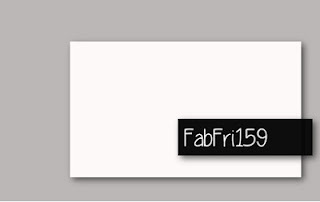 First, it's for the sketch at Fab Friday#159 here. 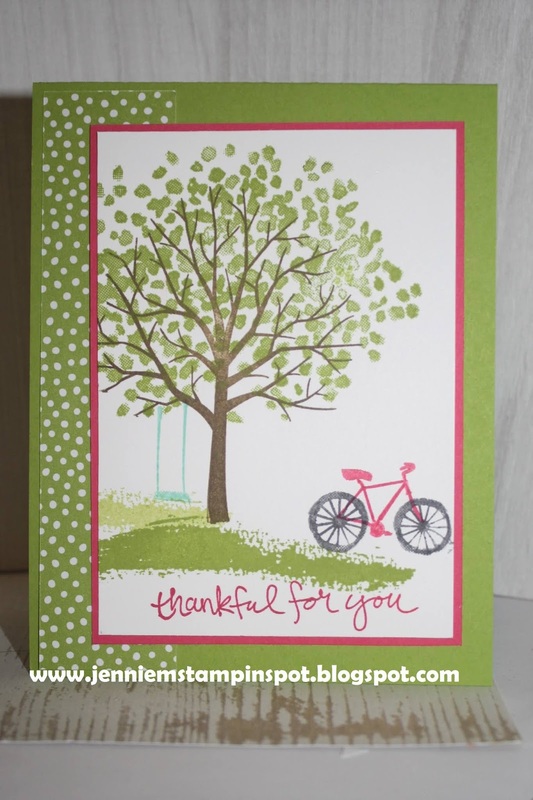 Second, it's for the Inspire. 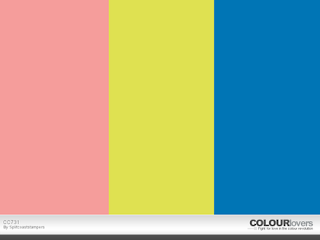 Create. 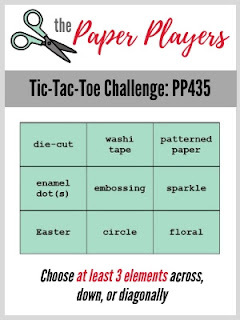 Challenge#039-Theme: Pets, here. 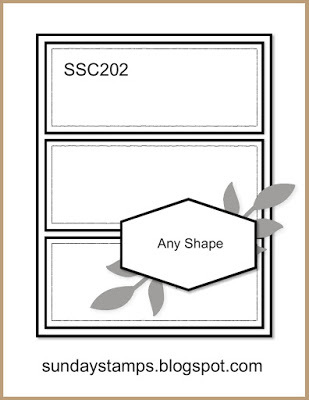 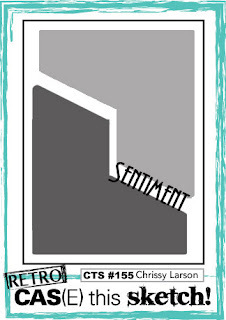 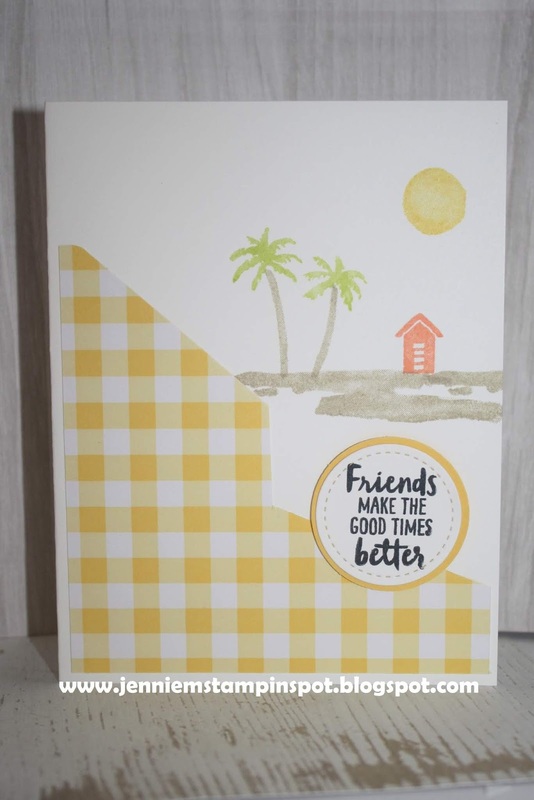 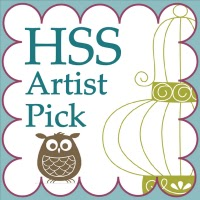 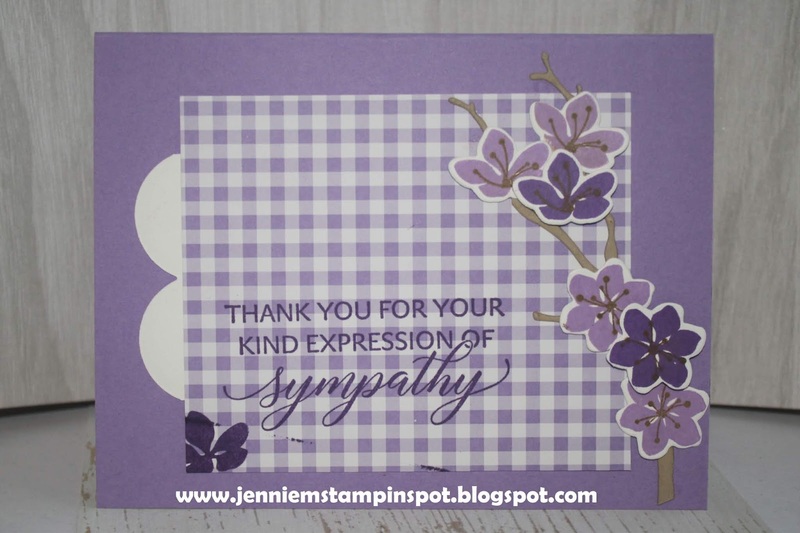 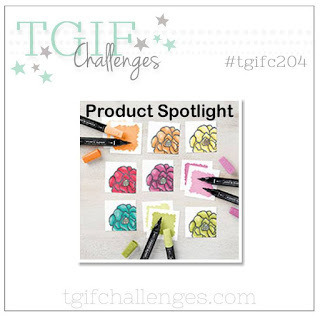 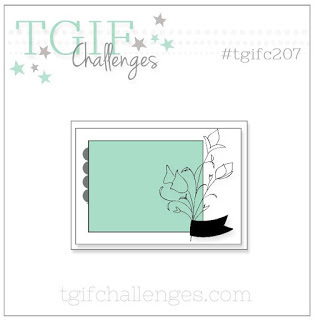 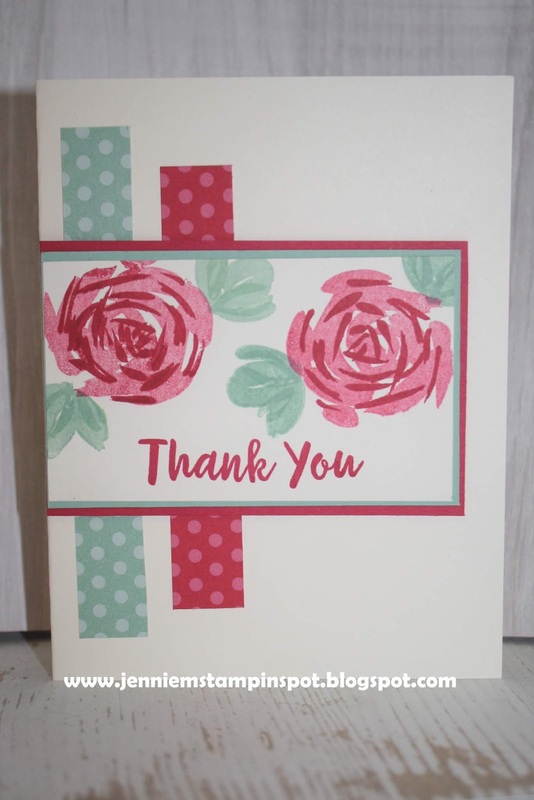 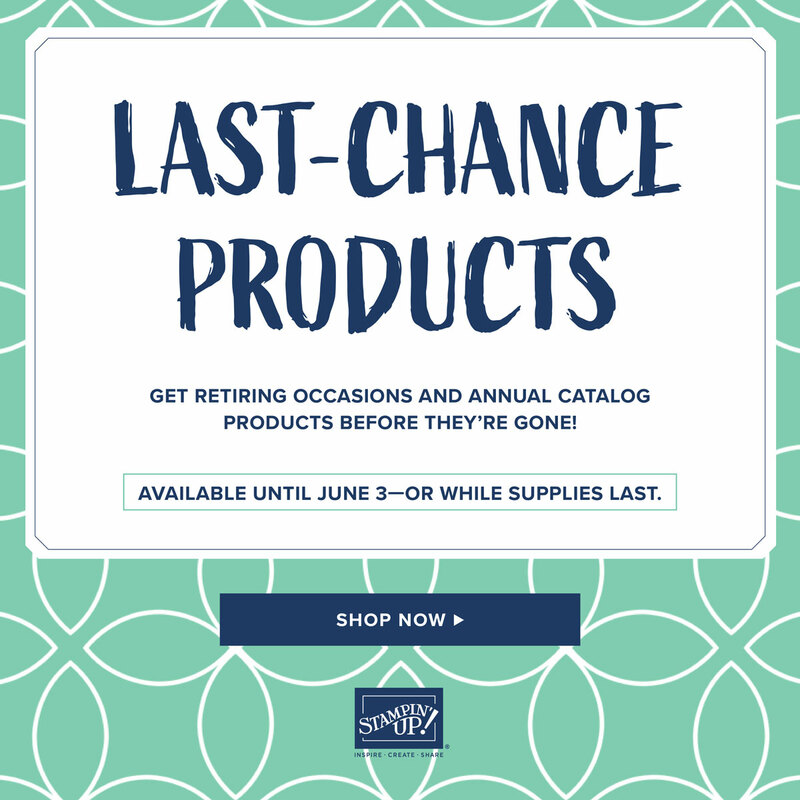 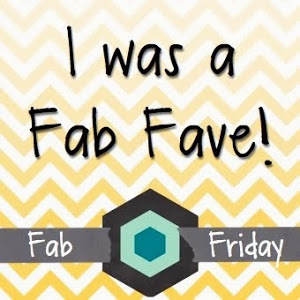 And finally, for the TGIF Challenge#204-Product Spotlight: Stampin' Blends, here. Happy Tails is the stamp set with it's coordinating Dog Builder punch. 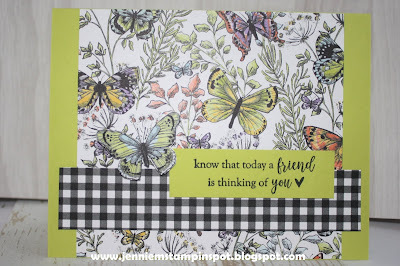 I used a bit of the Botanical Butterfly DSP and ran the WW card stock thru the Pinewood Planks embossing folder. 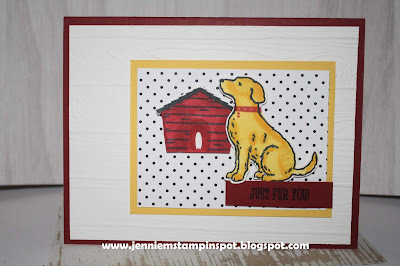 I colored the dog and his dog house with the Stampin' Blends. 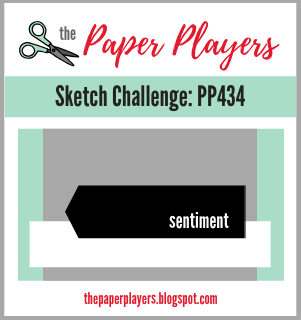 There's another fun sketch at the Freshly Made Sketches blog and I had to play. This card is for the Freshly Made Sketches#380 here. 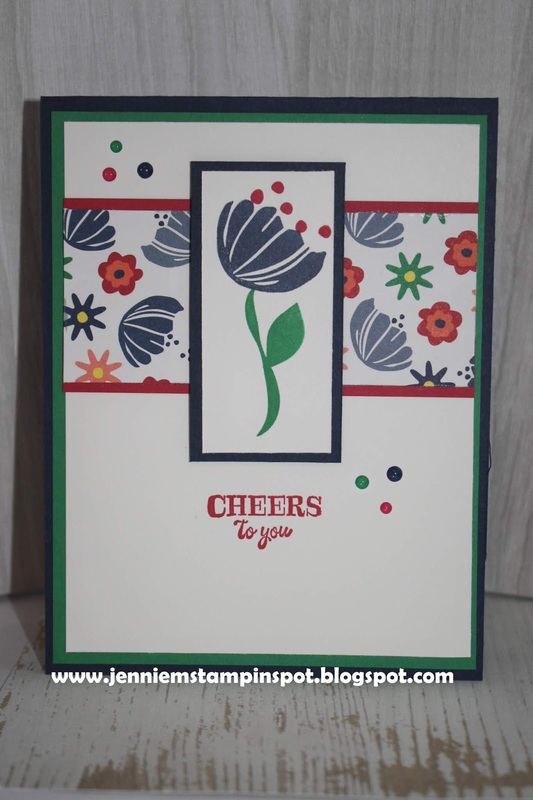 The flowers were all punched with the Bitty Blooms punch pack. 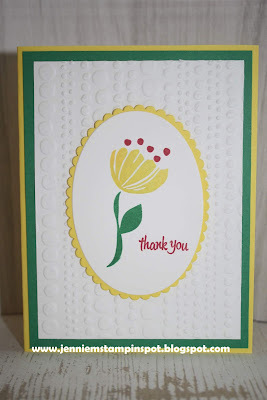 And I ran the WW card stock thru the Subtle textured embossing folder. 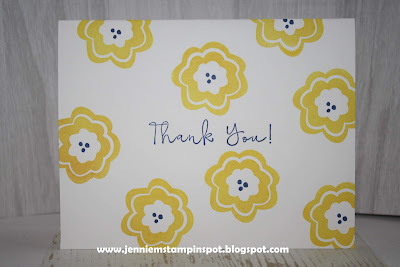 This clean and simple thank you card is for The Paper Players#433-Clean and Simple-One Layer Wonder, here. 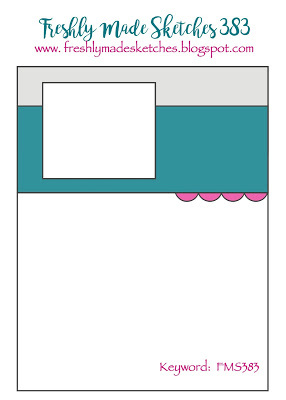 It literally took me less than five minutes from start to finish, including cutting the card stock! 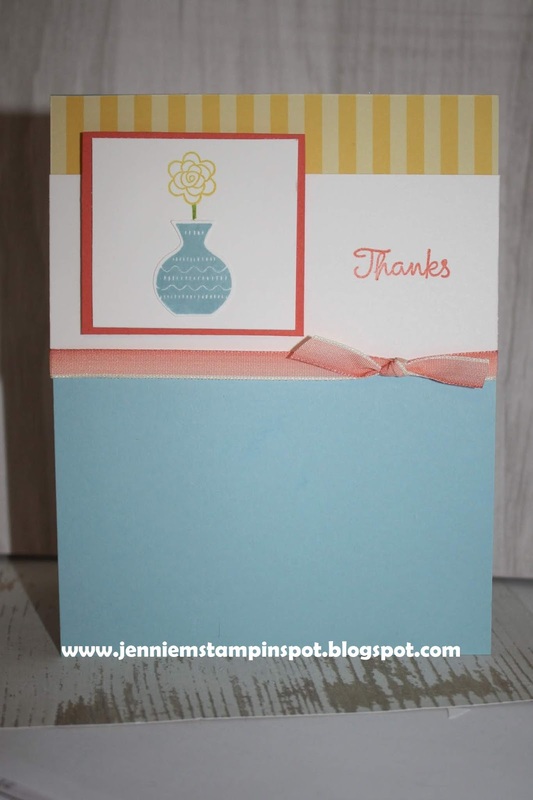 It's refreshing to just stamp a quick and simple yet cute card! 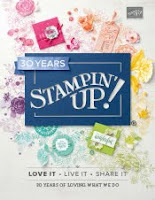 Bloom by Bloom and Another Wonderful Year are the stamp sets. 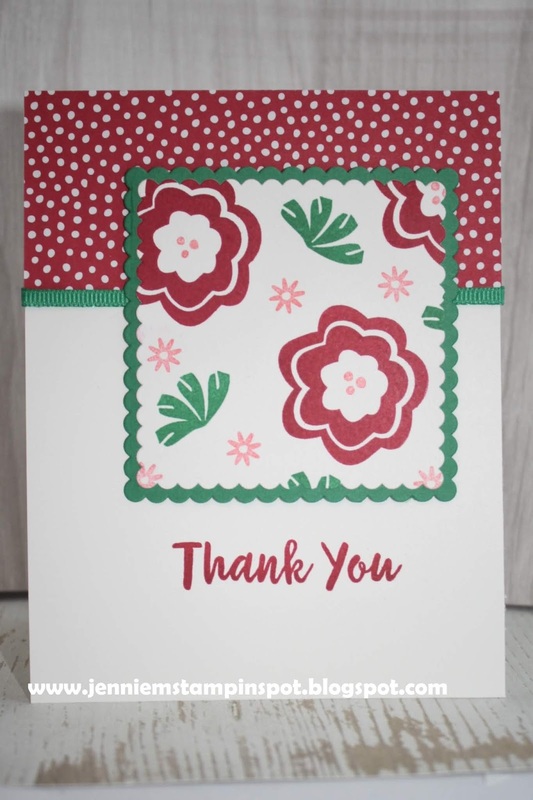 This cute and quick card is for-yet again-two challenges. 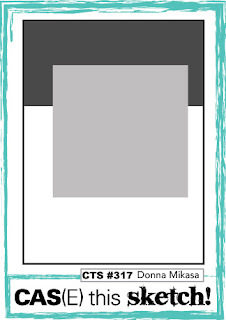 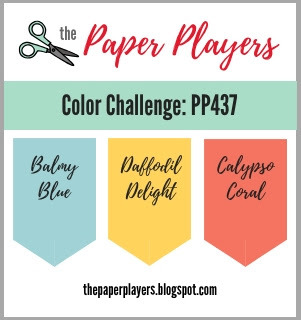 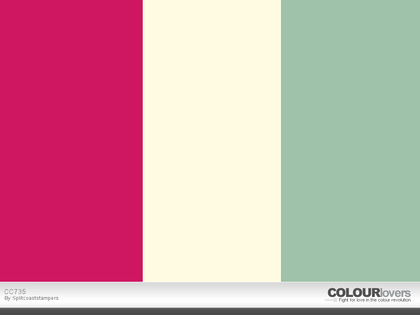 First, the colors are for the Splitcoast Color Combination#731 here. 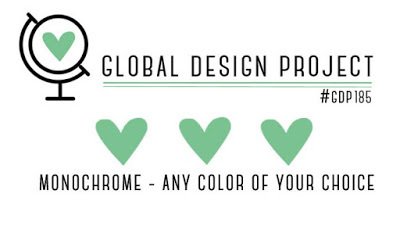 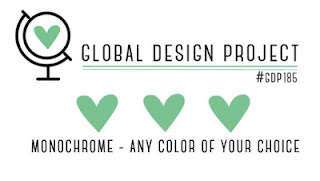 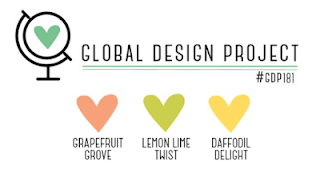 The colors to use are Lemon Lime Twist, Flirty Flamingo and Pacific Point. 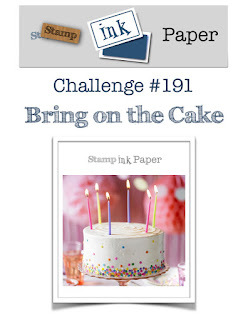 Second, it's for the Stamp Ink Paper#191-Bring on the Cake, here. 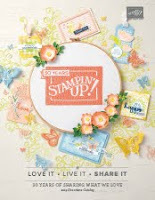 I immediately thought of the Amazing Life stamp set. 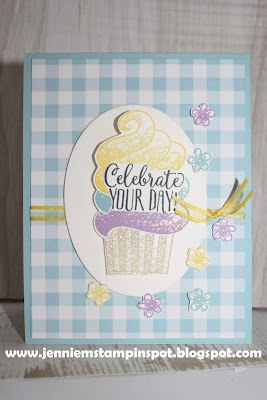 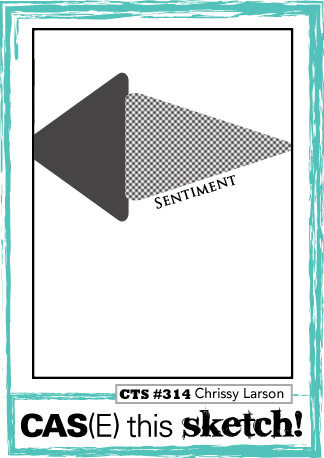 And since I had the Gingham Gala 6 by 6 DSP out for yesterdays card I used that again for this card. 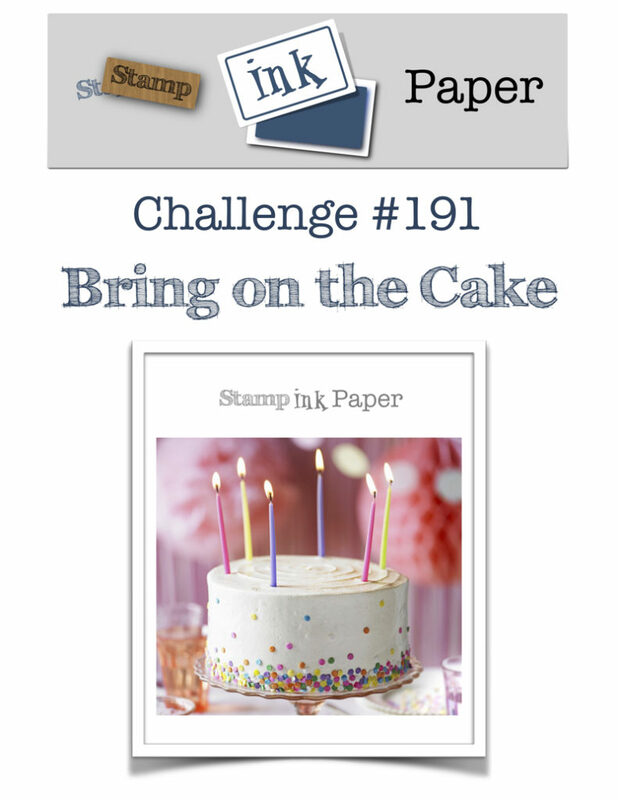 Here's my favorite kind of card to make-one for two challenges. 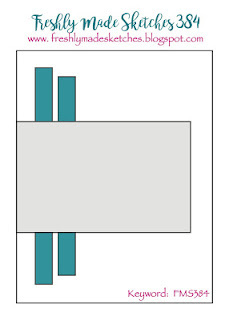 First, I used the Case this Sketch#313 here. And second, the colors are for the Global Design Project#181 here. 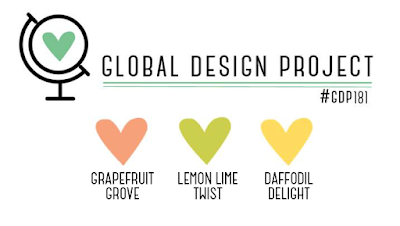 The colors to use are Grapefruit Grove, Lemon Lime Twist and Daffodil Delight. 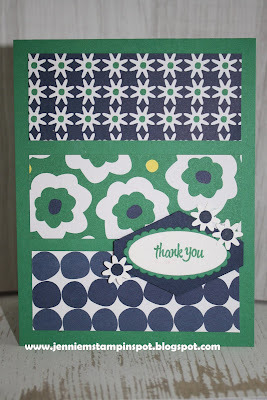 Waterfront is the stamp set with some Gingham Gala 6 by 6 DSP.